This small beach-side suburb features the serene Clovelly Beach at the end of a narrow bay. This beach is very popular with swimmers and snorkelers alike with easy access to pristine and calm water with an abundance of sea life. Locals enjoy picnics with a view at Burrows Park on the headland or sun baking on the large concrete pontoon along the side of the bay. Clovelly also features a 25 metre ocean pool. Barefoot bowls at Clovelly Bowling Club is another popular activity on the weekends with beer in hand, not to be outdone by the Clovelly Hotel. Local shops and cafes are wandering distance and places where the owners and staff will remember your name. Clovelly feels like a hidden retreat only 8km from the Sydney CBD. Clovelly is one of Sydney’s best-loved beachside suburbs, situated 8km south east of the CBD. Bounded on the north by Bronte, on the east by the Pacific Ocean, and Randwick to the west and Coogee to the south, Clovelly is a rare treasure and epitomises Sydney’s beach culture. One of the best ways to explore Clovelly is to follow the Bondi to Coogee Coastal Walk, Sydney’s most famous ocean-front walk. A slice of Sydney that’s great for surfing and people watching, the Bondi to Coogee Coastal Walk also plays host to Sculptures by the Sea, a free art exhibition held every October. Clovelly boasts some great food and drink spots, such as the Top Hat Coffee Merchants. The family-friendly Clovelly Hotel is popular with the locals, as is barefoot bowls at the Clovelly Bowling Club. 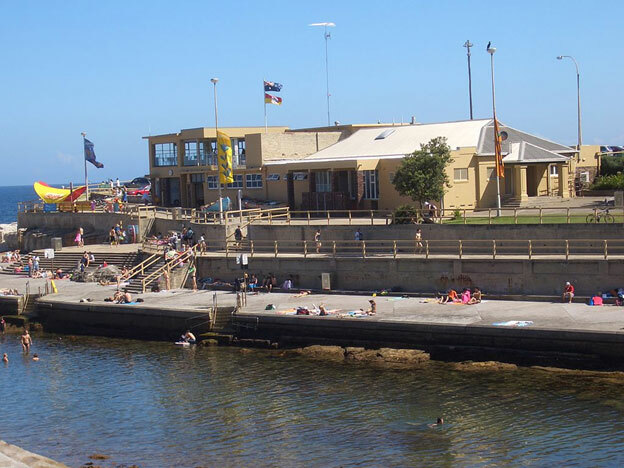 There’s also the Clovelly Surf Life Saving Club – one of the world’s first life saving clubs. The surf life saving tradition has been a prominent part of the culture and heritage of Clovelly, and competitive swimming is a dominant part of life in this idyllic coastal location. Clovelly was settled in the 1830’s and offers a unique, village-like atmosphere. It has a small shopping centre, which includes a post office, several banks, a chemist, newsagents, and several other shops – all of which will get to know your name in time. There is also a public school and Catholic school for families living in the area. 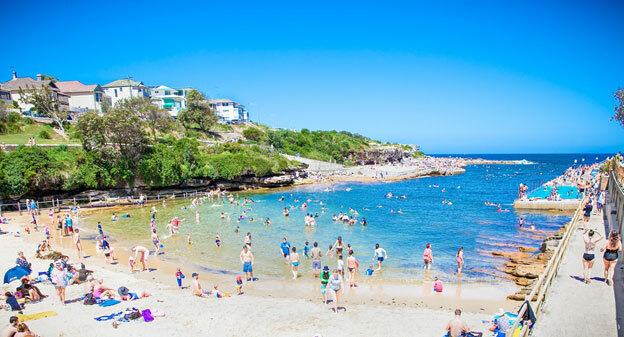 Clovelly Beach (originally named “Little Coogee”) is set in a small and peaceful bay. It offers a saltwater pool on the beach’s south, as well as grassy parks and picnic tables. A firm favourite with families, it can get busy in the summer. An abundance of sea life also attracts snorkelers and divers from across the city come the weekend, however despite the crowds, Clovelly offers a strong ‘locals’ vibe. Housing in Clovelly is typically higher density, with many dwellings being units, flats, semi-detached houses, terrace houses or townhouses. Speak with one of our Mint360property experts today and discover more about the wonderful suburb of Clovelly now. In March, 2016 the median price for a house in Clovelly was $2,352,000. Fast forward to January 2017 the same home would cost $2,970,000. The demand for property in Clovelly is almost 4 times that of NSW. House Prices and Rent Returns Clovelly. 3 bedroom home $2,933,000. $1200 per week rent. 4 bedroom home $2,970,00. $1500 per week rent. Unit Prices and Rent Returns Clovelly. 1 bedroom unit $550 per week rent. 2 bedroom unit $1,200,00. $693 per week rent. 3 bedroom unit $915 per week rent.